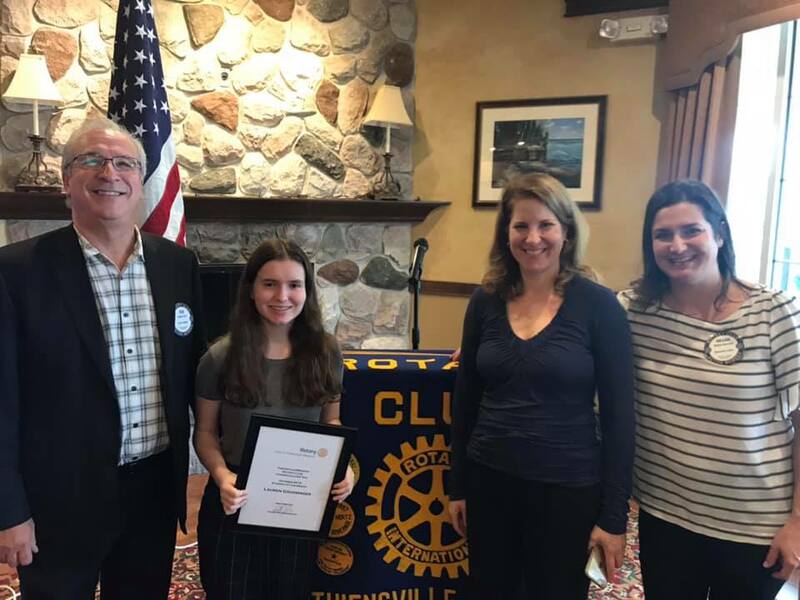 The Thiensville-Mequon Rotary Club honored our first Student of the Month, Lauren Grueninger, for the 2018-2019 school year. Lauren is a senior at Homestead High School. She is an honor student, she has received the Merit Award all 3 years of high school, and she is a member of the National Honor Society. 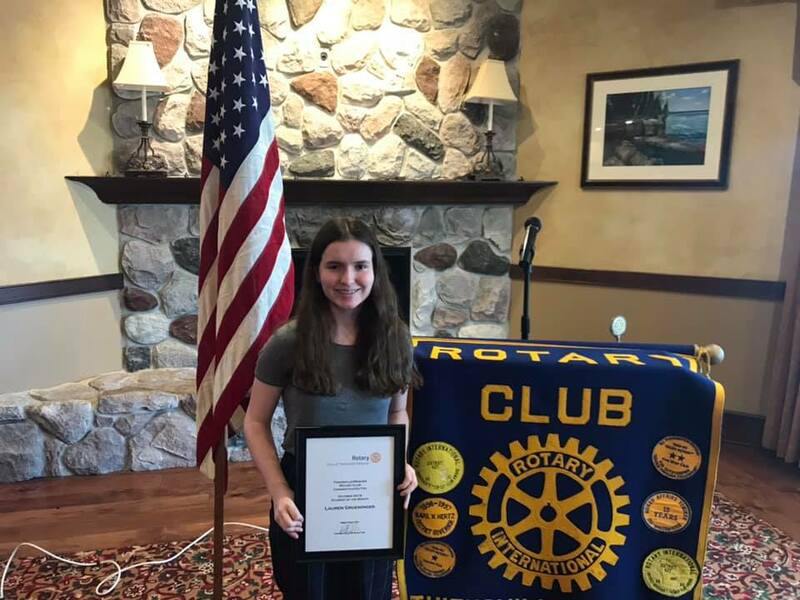 She represented Homestead at Badger Girls State this past summer and has participated in numerous clubs and activities at Homestead, including the Rotary Interact Club. Lauren has distinguished herself as someone who has taken action to make a difference in the lives of others. One of her most impactful service projects was for St. Hyacinth’s Food Pantry on the south side of Milwaukee. She started volunteering as a greeter every Wednesday afternoon. During the first week she was there she noticed the “free books” shelf had very few books available. Reading and education are Lauren’s passions and she wanted to share that experience with the children at St. Hyacinth. She started a book drive which expanded into collecting school supplies as well. She collaborated with local businesses to hold a brat fry and a bake sale and collected $975. She also established donation bins at her church and local schools to collect new and used books and school supplies. Lauren collected over 2,500 books, 102 backpacks and a truckload of school supplies for the children at St. Hyacinth. One of the most rewarding aspects of her service was distributing all of the supplies to the children. Lauren shared a story with our club about one little boy who fell in love with a Batman backpack as she was distributing supplies. She remembers him being overjoyed when she told him it was his to keep. Lauren, we thank you for your “service above self” and all that you do for your school and community!